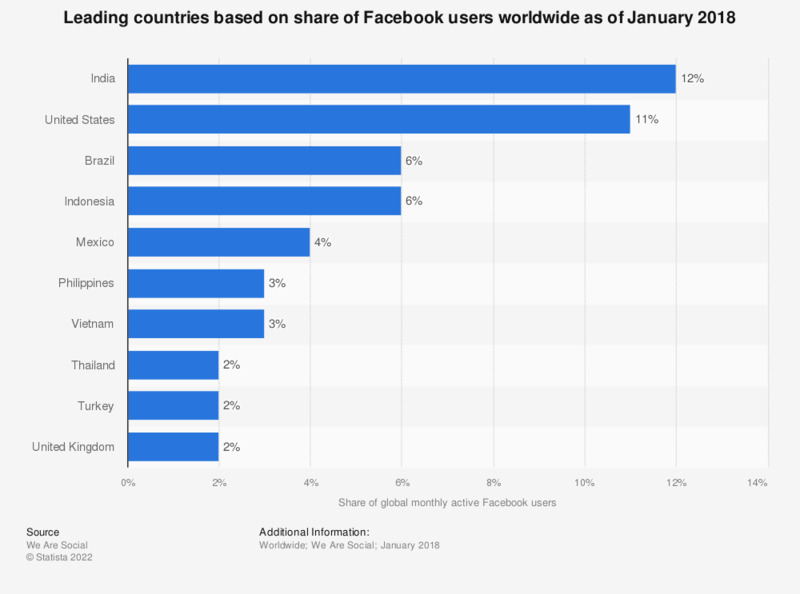 The statistic shows a ranking on the leading countries based on their share of Facebook users worldwide as of January 2018. During the measured period, the United States accounted for 11 percent of the global Facebook population. India accounted for 12 percent of total Facebook users worldwide, having finally overtaken the United States in terms of Facebook user figures.